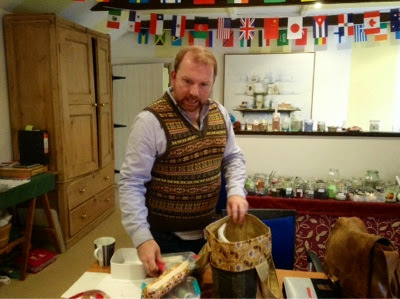 I enjoyed the bag class with Stuart Hillard he is an excellent teacher and very patient. 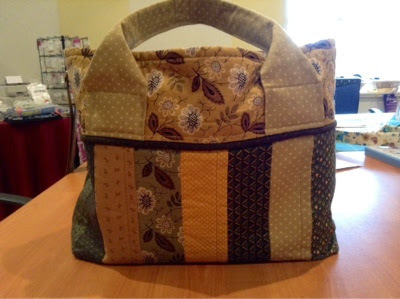 This is Stuarts bag and what we're aiming to make. 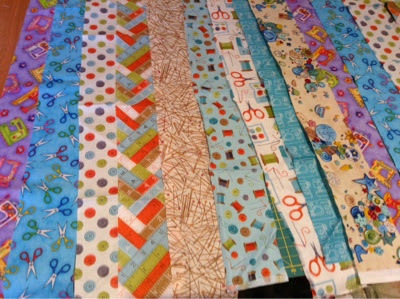 Here are my fabric strips waiting to be stitched. As you can see I have a stitching theme going on this is some of the fabric I bought at the Birmingham quilt show in August. 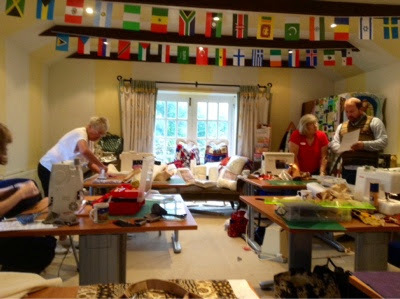 This is the classroom at the Viking Loom, I have been coming to classes here for about the last 15 yrs. What wonderful fabrics. looking forward to seeing yours complete.